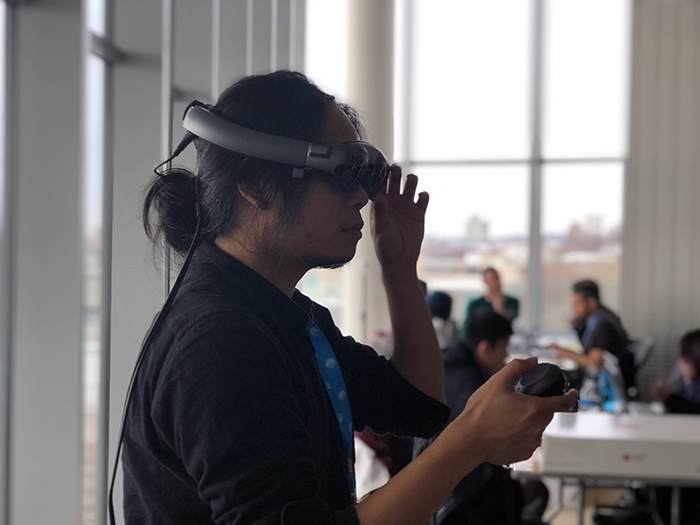 The 2019 Reality Virtually Hackathon at the MIT Media Lab is committed to changing reality in more ways than one. On Jan.17, multidisciplinary teams began a five-day journey. A working use case for diversity in the tech community. The 2019 Reality Virtually Hackathon at the MIT Media Lab is committed to changing reality in more ways than one. On Jan. 17, multidisciplinary teams began a five-day journey. The goal: discover new ideas within an inclusive environment. Diversity went beyond the device and platform that participants worked with. From UX designers to graphic designers, audio engineers to software engineers, people reimagined the future in groups that spanned speciality. More than 40% of participants were women (compared with men) and hailed from Pakistan to Poland and beyond. Together, they created a working use case for diversity in the tech community. 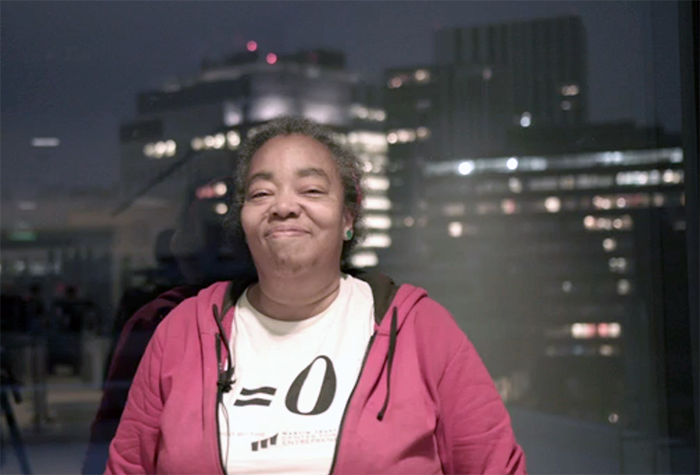 Diane Williams, one of the hackathon organizational leads, is personally invested in Reality Virtually’s vision for inclusive tech. She’s in charge of not only subject matter diversity but the diversity of the participants. After catching up with her, it was clear that true innovation requires a revolution. “I’ve been in the field, having been in computer science when it wasn’t cool — when there were very few people who look like me — very little representation,” said Williams. Her goal is to bring diverse talent to the AR/VR/MR community and make everyone feel welcome within the space. Magic Leap had the privilege of meeting dozens of creators who share a love for human-centered, immersive technology. We were blown away by the people who chose to create with the Magic Leap One platform during the five-day hackathon. They developed their own versions of the future with spatial computing, using our feature set to power apps for people of all ages and abilities. Talking with these creators, we learned they’re just as interested in the auditory aspects of Magic Leap One as they are the visual — the physical world as much as they are the digital. Spatial computing combines Soundfield Audio, eyetracking, hand tracking, haptics, real-world response and more. It's not just seeing things differently, but experiencing them differently while interacting with the world and the people within that space. Three prize-winning teams developed for Magic Leap One. Each demonstrated the range of our feature set with dynamic use cases. Team CleARsite — winner of the Magic Leap award — implemented world reconstruction, haptic feedback, Soundfield Audio and visual overlay to create an experience for people with visual impairments. CleARsite transformed Magic Leap One into an assistive echolocation device — a tool that delivers on Reality Virtually’s vision for inclusive tech. Stay tuned for an in-depth feature on the teams and experiences that came together with Magic Leap during the hackathon, including prize-winning teams Ideate AR and HeAR.